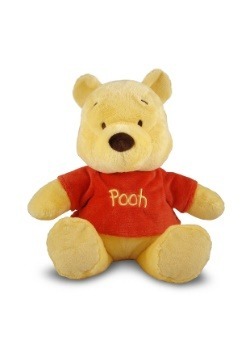 Have you noticed lately that modern life isn’t exactly like bouncing carefree around the Hundred Acre Woods anymore? Thanks, adulting. The traffic, the noise, the rising subway prices! It’s enough to make even the most exuberant and fierce go-getter--you--want to take a big ol’ nap! 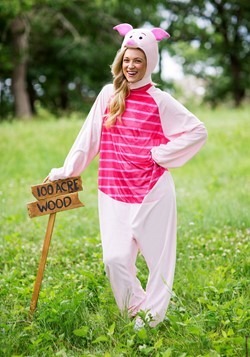 But what if you could channel the serenity and joy of your childhood by simply slipping on a swell pair of pjs? Pretty nifty! When life in the big city’s got you drained, drift off into your favorite storybook world and you’ll bounce back to loving life in a heartbeat. 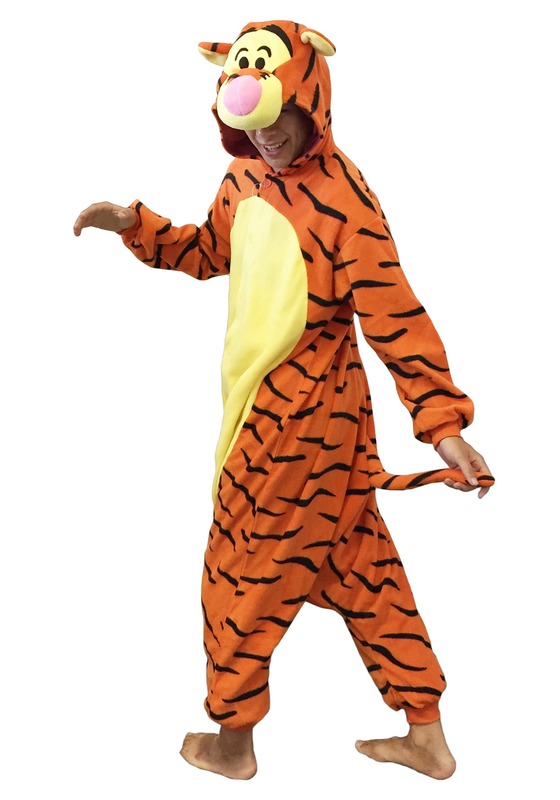 While this fun costume won't give you a bouncy tail like Tigger (sorry, only Tigger himself has mastered that art), you'll totally be able to sit back, relax, and eat all the honey you want in style. 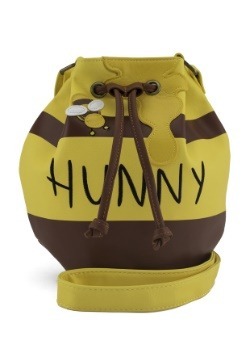 Wait a minute... Tiggers do NOT like honey. 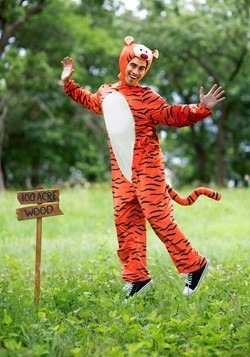 So what can you do in this Tigger costume? The better question is: what can’t you do? 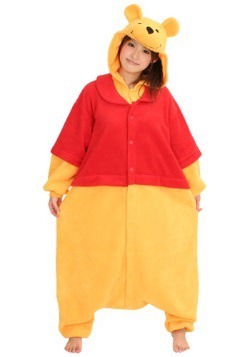 You can feel super comfortable looking just like your favorite resident of the Hundred Acre Woods for a party or just wear it around the house feeling wonderful! 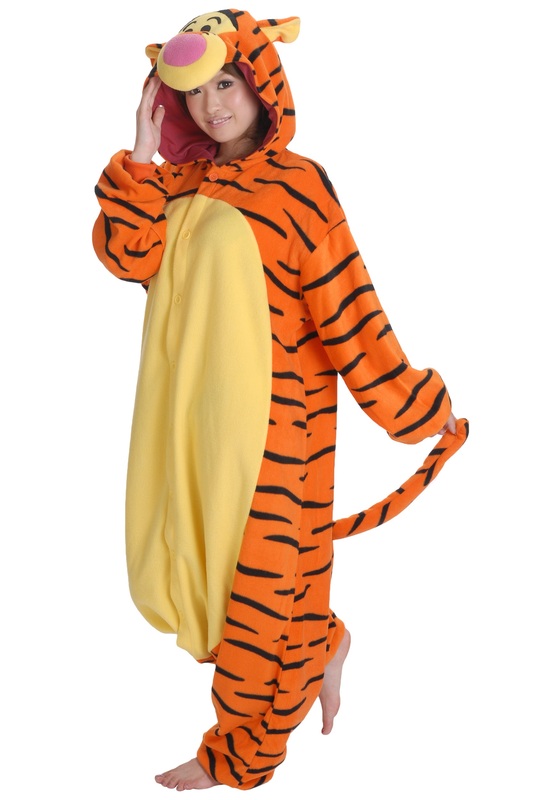 That’s because this Tigger Pajama Costume works on several levels, and each one is as cozy, cute, and nostalgic as the next. Heck, you can even try taking the subway to the grocery store in it. No judgment! The point is that any way you plan to enjoy it, this pajama set will get you your growl back, instantly. 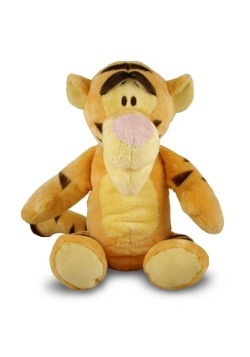 Because the most wonderful thing about Tiggers is that Tiggers are wonderful things. 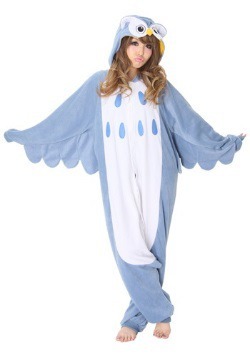 And that’s true day or night, at home or out in the wild; napping on your couch or claiming the costume party prize. Go on, put the bounce back in your step!